The event is the official beginning to students’ academic journey. Fall 2017 Convocation was held last Wednesday at the University of Hawai‘i at Hilo. 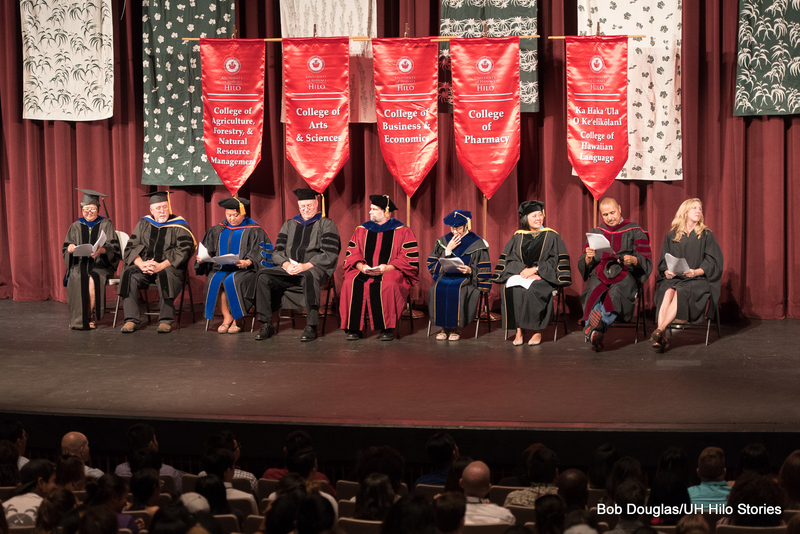 As part of New Student Orientation, the convocation event was presided over by new Interim Chancellor Marcia Sakai, the vice chancellors and deans of the colleges, all dressed in full regalia. The event is the official beginning to students’ academic journey. Each student was presented with lei lāʻi made by faculty, staff and students a couple of weeks ago. 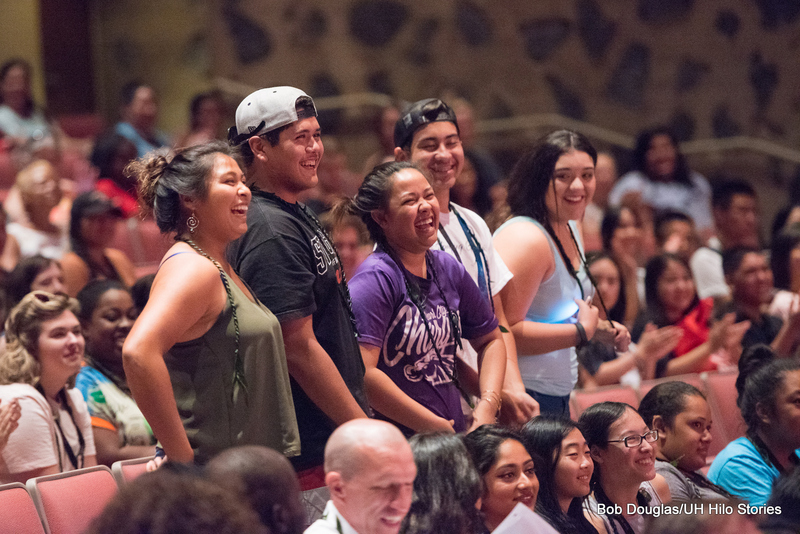 The leis along with 200 more that were made this summer by students and staff of the Kupa ʻĀina Summer Bridge Program were presented to all new students attending the convocation on Wednesday. 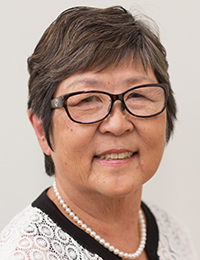 Earlier this month, Interim Chancellor Sakai thanked those who participated in the lei making. “Mahalo to all of you who participated in this lei-making activity—what a wonderful way to connect with our incoming students by giving them something made with our own spirit and hands!” Sakai expressed in an email to the university community. University officials on the dais are (l-r) Marcia Sakai, Ken Hon, Farrah Marie Gomes, Bruce Mathews, Michael Bitter, Tam Vu, Carolyn Ma, Jason Cabral and Julie Mowrer. Joining the interim chancellor on the dais were Interim Vice Chancellor for Academic Affairs Ken Hon; Vice Chancellor for Student Affairs Farrah Marie Gomes; deans Bruce Mathews (College of Agriculture, Forestry, and Natural Resource Management); Michael Bitter (College of Arts and Sciences); Tam Vu (College of Business and Economics); Carolyn Ma (Daniel K. Inouye College of Pharmacy), and Julie Mowrer, acting director of the College of Continuing Education and Community Service. Jason Cabral, associate professor and chair of undergraduate programs at Ka Haka ʻUla O Keʻelikōlani College of Hawaiian Language, represented his college. More photos at UH Hilo Stories.